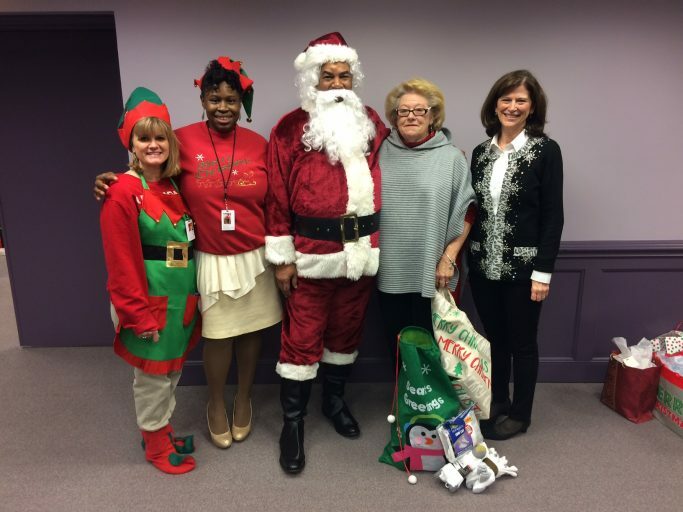 ACDS Holiday Giving to Help Homeless & Families in Need - Arundel Community Development Services, Inc. Many thanks to ACDS staff and board members who donated money to support our annual Holiday Giving effort at ACDS. Through their generosity, we collected 35 brand new pairs of socks and raised over $1,400 to support homeless individuals and families in need in Anne Arundel County. Our ACDS elves used these funds to purchase toiletries, treats, and several gift cards for area take-out restaurants, which they stuffed into stockings for 25 individuals being served through Arundel House of Hope’s Homeless Resource Center. This was a welcome treat for these men and women who are experience chronic homelessness. In addition, we were able to purchase grocery/toy store gift cards for four very low income families served through our program. From all of us at ACDS, have a Happy and Safe Holiday Season!